The sun rises over the Laurentians and it’s already such a beautiful day. The forests and grasses shimmer a myriad of greens in the wet dew. There is slight ripple on the surface of the lake due to a subtle breeze. Life is good in the Laurentians! I think I’ll have to draw straws to choose the day’s activities among the countless possibilities. 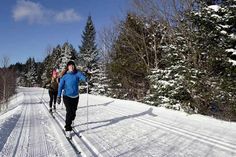 The Laurentians’ parks have so much to offer! 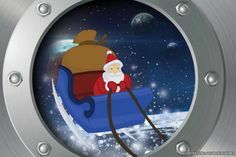 Proposed activities are diversified and unique! At the Poisson Blanc Regional Park, you can even have your own private island! The numerous islands of the Poisson Blanc Reservoir are dotted with rustic and intimate canoe-camping sites, accessible by boat only. There is no better way to take a break from daily routine, the ultimate escape! Are you a nature lover? I recommend a visit to the Rivière Doncaster Regional Park. The park offers more than 10 km of hiking trails and brook trout fishing in season. The Rivière-du-Nord Regional Park will also charm you with the gorgeous Wilson Falls, ideal setting for a picnic. Hiking, biking, fishing, canoeing, kayaking, skiing and snowshoeing are only a few examples of activities offered. 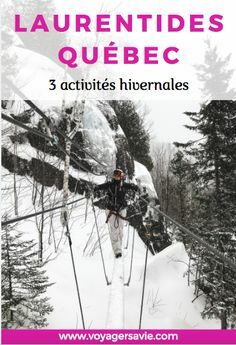 In the Lower Laurentians, the Bois de Belle-Rivière Regional Park is the perfect destination for family activities. You can try hiking in the trails or gardens, swimming, fishing or horseback riding. At Oka National Park, you can enjoy the supervised beach, hiking trails and cycling trails. Why not take a break at the Oka Calvary? With four oratories and three chapels, it is a historical infrastructure unique in America. You prefer kayaking or canoeing? The Rivière-des-Mille-Îles Park is the place to be. 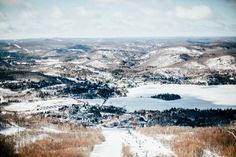 If you are looking for magnificent views that take your breath away, go to the Mont-Tremblant National Park, or the Val-David-Val-Morin Regional Park. Dufresne sector is a great place for mountain climbing. Finally, why not end your stay with a pontoon excursion? The Aventure Forestière is a guided cruise with nature observation, where you learn about the history of the islands and discover the Kiamika reservoir and surrounding forest in the Kiamika Regional Park.